Having a totally natural bug repellent that really works is a great feeling—you can spray yourself and loved ones freely, protecting them from mosquitoes and other bugs without introducing harmful chemicals. That’s why the Herbal Insect Repellent by Meow Meow Tweet is such a find. Touted as being powerful enough to combat prehistoric mosquitoes without toxic chemicals, its plant-based essential oil combination and natural skin toners can be safely sprayed on your skin, hair and clothes—and it smells amazing. “I do all the formulations myself,” says Tara Pelletier, who formally launched Meow Meow Tweet back in 2009 with her partner Jeff Kurosaki. 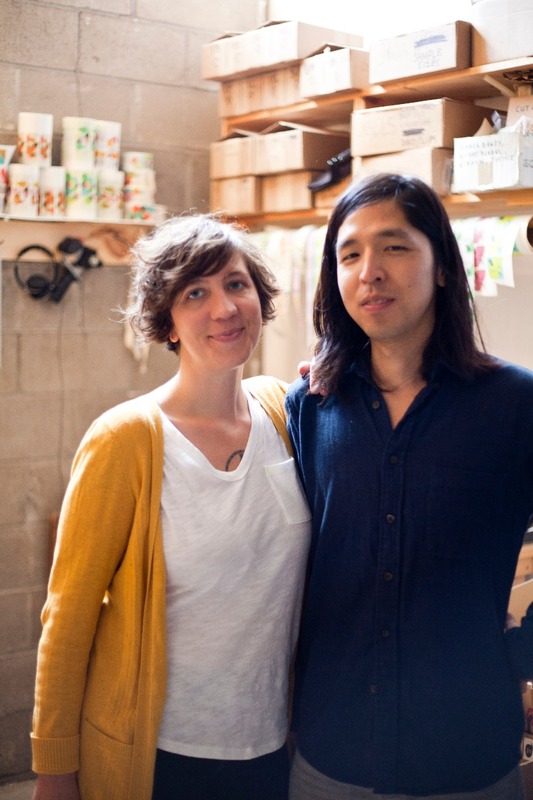 The duo met in art school, and were living in Brooklyn and working as an art assistant and an art handler respectively when they started making homemade soap on the side. “We were exploring urban homesteading. We had a window garden, a worm compost bin, and then we taught ourselves how to make soap,” says Pelletier. The couple knew creating art was their priority, and that they wanted to be in control of their own time. So they asked themselves, “What if soap could support our creative lifestyle?” To find out, they decided to take the leap and create a line of natural beauty products. Packaging matters too. Kurosaki makes all the drawings on the labels, while Pelletier helps design the patterns and coloring behind them. Body-care and face-care products come in glass containers, lip balms are poured into 100 percent recycled plastic, and the new stick deodorant is put into a compostable tube. “You want to be able to toss the bug spray in your backpack without worrying about it breaking, so we put it in a reusable aluminum bottle,” says Pelletier. While the insect repellent is one of the company’s oldest and most beloved products, it’s not what Pelletier would use if she were worried about, say, the Zika virus. “All the essential oils in there repel bugs, but this is a natural product that needs to be reapplied if you are going to be exposed for a good length of time. You might get a bite or two, but you are definitely NOT going to get eaten alive,” she says. Added bonus: the insect repellent also makes a great antibacterial spray, deodorant or foot spray. Visit meowmeowtweet.com to check out their full line of products.